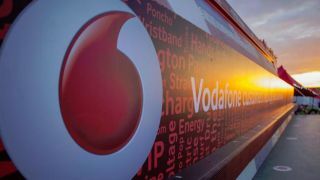 Vodafone has announced that its ultrafast 4G service will be hitting the UK on August 29, and will arrive in 12 more cities before the year is out. Vodafone's range of 12- and 24-month Red 4G plans start at £26 a month and all include unlimited minutes and texts, while data limits will vary. However, the company is offering unlimited data for the first three months to rope you in. London will be the first city getting the new service and you'll be able to order in store or over the phone from August 12. As for customers already with a 4G ready device on a Vodafone Red plan, you'll be able to upgrade to 4G for an extra £5 a month. As part of the launch, Vodafone is also bundling either a Spotify Premium or Sky Sports Mobile TV subscription into the Red 4G-Ready L and XL plans to tempt users over. These will last for the entirety of the contract, while those on the base 4G-ready plan will have them for six months. Edinburgh, Leeds and Birmingham, Coventry, Bradford, Glasgow, Leicester, Liverpool, Manchester, Newcastle, Sheffield and Nottingham make up the other 12 that will be getting the service in the coming months. With Vodafone now joining the ranks, and O2 also arriving on August 29, we'll hopefully be seeing some better 4G competition for Brits in the coming year.